The West Bengal Tea Development Corporation Limited has decided to pay due cash benefits of Rs2.45 crore to the workers of tea gardens it earlier owned, namely Rangmukh-Cedar, Pandam and Rangarung, which has been pending for more than two years. A letter from the WBTDCL has been sent to the Darjeeling district administration, a copy of which has also been received by the Darjeeling Terai Dooars Plantation Labour Union (DTDPLU), the Gorkha Janmukti Morcha-affiliated trade union that is pursuing the matter. Speaking to reporters today, DTDPLU general secretary Suraj Subba said, “The WBTDCL has agreed to pay the dues pertaining to firewood, umbrellas, aprons and footwear of the workers of the three gardens. With the pujas around the corner, we welcome the corporation’s decision.” The three gardens in Darjeeling were being run by the state government and were sold off to the Darjeeling Organic Tea Private Limited (DOTPL) earlier this year in February. The DOTPL is owned by the Bansal Group which also runs other tea gardens in the hills including the Happy Valley Tea Estate. However, the WBTDCL has noted it would pay only those dues that accumulated when the three gardens were under its control. Cash benefits to workers of Rangmukh-Cedar amount to Rs2.30 crore, Rs9 lakh for Pandam workers, while workers of Rangarung are due to receive Rs6 lakh. The three gardens have a combined workforce of 2,300 employees. 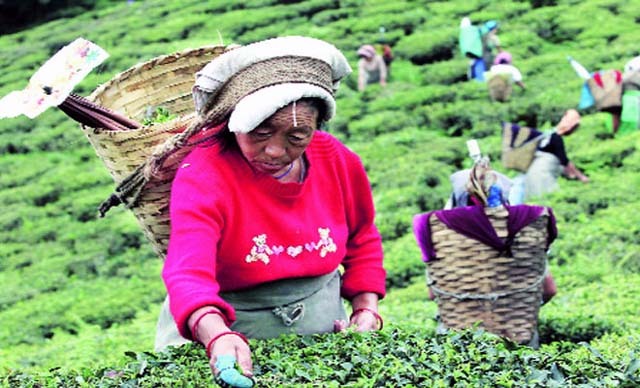 A committee comprising representatives of the three gardens’ managements - the Darjeeling Tea Association, an umbrella organisation of 87 tea estates, and the DTDPLU, was constituted by the WBTDCL in March to finalise the modalities of the payment. According to Subba, the Corporation is expected to distribute the payment on October 7, 8 and 9 through the Darjeeling district magistrate’s office. “The dates have been fixed, but we don’t know which garden will get the payment on which date. Nevertheless, it is a victory for us as the DTDPLU has been pursuing the matter despite various allegations including that of accepting bribes from the management being levelled against the union,” he said.